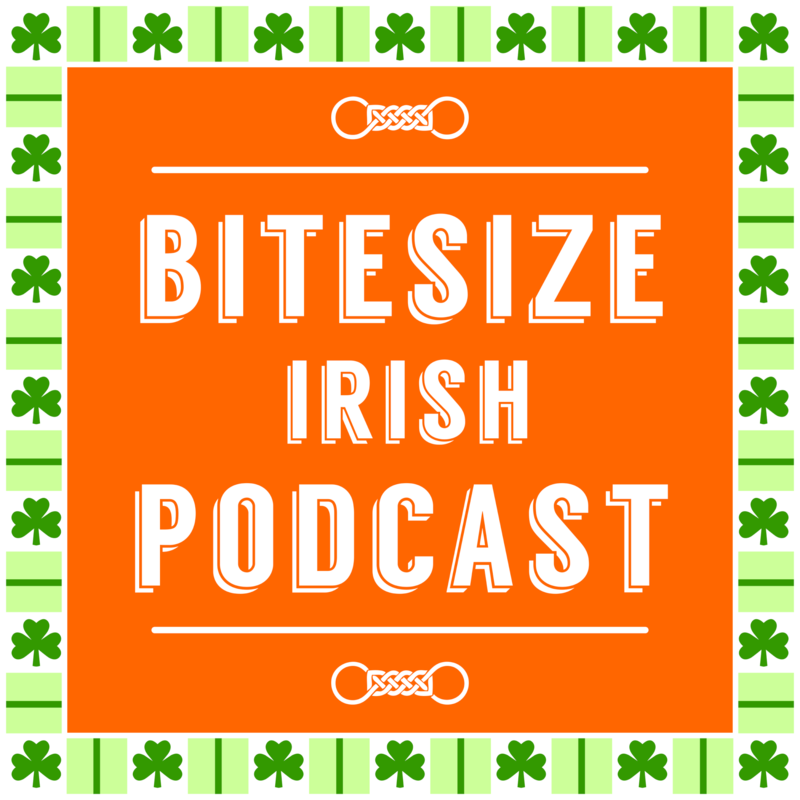 Bitesize Irish Gaelic Podcast 005: Will I understand people in Gaeltacht Ireland? Listen to Eoin discuss listener questions and emails around the Irish language (Irish Gaelic) in Ireland. If you feel that deep connection for Ireland, and plan on visiting, or have visited, then you’ll learn about seeking the Irish language out. 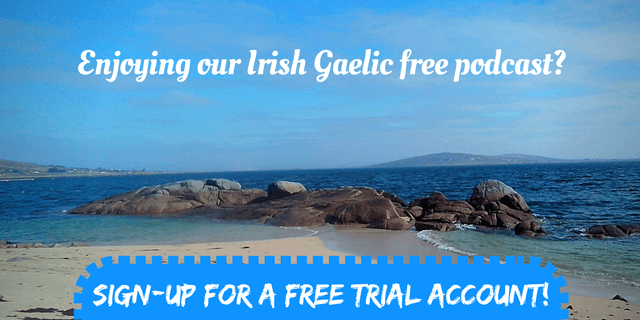 How common is the Irish language in Ireland? Is there a Leinster Irish dialect? Gaeltacht regions – those regions that are historically marked as places in Ireland where Irish is the main community language (but those borders don’t always match reality). Eoin speaks about urban Irish. Use the audio player in this post. The player also have a download link to grab the episode’s MP3 file. The show comes out each fortnight on Thursdays at 8am EST. Thanks for listening. We’d love to hear from you about the episode. Just leave a comment below. thanks for the interesting answers. I agree – in my longer stay in Ireland I haven’t heard it spoken once – just on the radio. languages like irish do not get simpler, they tend to be more isolating. You might think that the isolating type is the easiest one, because english a good example of this language type. I was very fortunate to learn russian – a very flective language with 6 nominal cases. It was only last week when I entered my class and told my students: “Friends, today we do syntax!” As they all could remember very well the painful syntax lessons in english, the reaction was load groaning and moaning. But russian syntax is easy – the only rule is – do just what you feel like! A second point where I do not really agree: I can not see that irish is benefiting from english. English is more like an airtight blanket over the little irish fire. It will simple “bearlachas” it a away in a distant future, when there is not a witty language regulation. nice to hear your views. > A second point where I do not really agree: I can not see that irish is benefiting from english. I would try to rephrase, in that case. I don’t see “good” or “bad” that words of one language travel from one language to another. I would definitely argue, though, that a language that is **changing** probably has a better chance to survive than one that is not. That “change” could come from a lot of sources, including pressure from other languages. This is perfectly true for healthy languages like german or russian, italian or dutch. But there is a definite threat that irish will change to death, because there is no monolingual speaker left. It would be interesting how other minor languages face the problem of a very invasive lingua franca. There are many places in Dublin where you can use whatever Irish you have. There are so many, you could almost use Irish each day. You just have to do some research and arrange your schedule so you can attend some of these activities/places during the week. – An Siopa Leabhar, 6 Sráid Fhearchair, Dublin 2. – In Dublin City University (DCU) in the Caféteria there is a table set aside for Irish speakers. Fantastic – thanks for providing links. I hope someone will get use out of that info, even if they’re just passing through Dublin for a few days. GRMA! 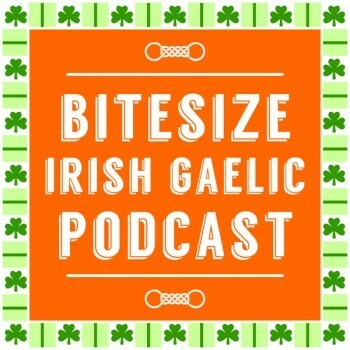 After this podcast, and because of what Benny the Irish Polyglot did when he blogged about Gaeilge (similar t-léine) … bhuel… rinne mé seo inniú. Haha, I love it. I tweeted it out.